Things change for Mowgli when the dry season comes and so much of the water has dried up. Since it is now a scarce resource, a water truce is declared by the animals, meaning that the drinking hole is now a safe zone where predation cannot occur. While there one day with the wolf pack and hundreds of other animals, a tiger named Shere Khan (Idris Elba) arrives. Shere Khan has a scarred face given to him by Mowgli’s father, and now the tiger wants the boy out of revenge, vowing to kill him when the dry season is over. When the rains start, it is decided that Bagheera will take Mowgli to the nearby human village for safety, a decision that Mowgli decides he does not like. Of course, it’s not going to be that easy. Along the way, Mowgli is going to be attacked by Shere Khan and separated from Bagheera. He’ll almost become the victim of a massive python named Kaa (Scarlett Johansson), spend time with a sloth bear named Baloo (Bill Murray), and come across a tribe of monkeys led by a huge primate named King Louie (Christopher Walken). Eventually, though, there’s going to be a showdown with Shere Khan as well as a decision that needs to be made about Mowgli’s future. So what does it get right? For starters, Neel Sethi is pretty good as Mowgli. He’s an unexperienced actor (at least in film) and some of his line readings are a little wooden, but for the most part, he’s very believable as a kid raised in the jungle. He’s particularly good in the action sequences, especially when he’s terrified. According to his IMDB page, he doesn’t have any other projects in the works, which is kind of a shame, because I think he could be turned into a fine actor. The voicework is also consistently good, which is not surprising when you consider the talent lined up for it. While all of the work is good, it’s worth noting that Bill Murray is an inspired choice for Baloo; he adds just the right amount of humor and self-absorption necessary to make the character really work. On top of that, Favreau’s direction remains consistently solid. The action sequences are exciting and well done throughout, and he brings a light humor to the proceedings that is welcome in a family film like this one. There are a few things that don’t work. The first is that there are a lot of anachronisms in the vocabulary. Mowgli talks about things being “cool,” for instance, which seems strange for a movie that is not set more than 100 years ago. I’m certain this was a conscious decision to make it more easily accessible to modern kids in the audience. It’s a small thing, and not something for which I take a great deal of offense. The talking animals bother me, though. The only movie I’ve seen with what looks like real animals having realistic lip and mouth movements when talking is Babe. There’s something about that that bothers me on a real level, a sort of animal-based uncanny valley that bugs me on a deep level. I got used to it, but it still does cause me some distinct unease. Because of this (and I admit that it’s entirely a personal thing with me), I found The Jungle Book to be a little uneven. It’s a good story and a good version of the story, but I’m not convinced it’s required viewing. Based on what was included in the latest edition and what was left out, I’d have much rather seen Hidden Figures on the list. On the positive side, though, I like the ending we have here much more than the traditional one, even if it’s a break from tradition. 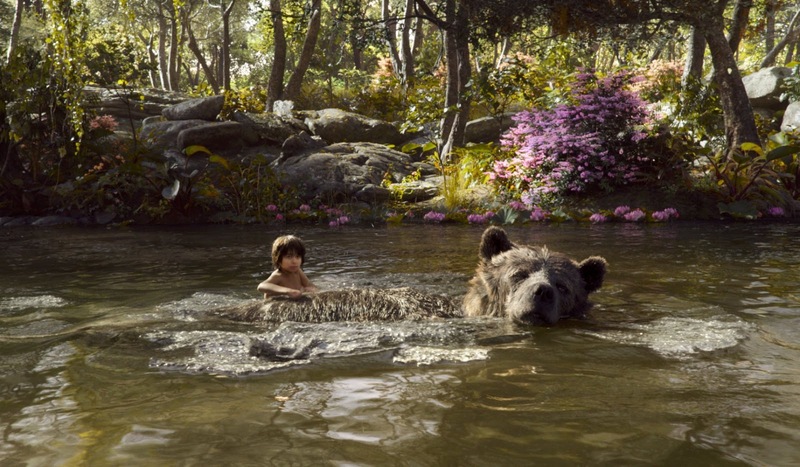 Why to watch The Jungle Book: A solid family film nicely updated. Why not to watch: Talking animals freak me out a little. Walken as Louie is the best. That is all. Walken as Louie is probably the most inspired casting.